The fruit book - Fruits information, pictures of fruit and plant,nutrition and health benefits lesson plan,teachers, parents and home school resource. Why Fruits are good for health? Fruits are good source of fiber , vitamins, minerals, and antioxidant. Dietary fiber is very important for our digestive system. Antioxidant will help us to prevent cancer. Do all the fruits are good for health? It depends on your age, the time and amount you consume and your health condition. Apple, grapes, kiwi, berries, pineapple, orange, apricot, plum are in general you can eat any time. Dont eat few fruits just before going to bed. Banana, mangoes, jack fruit, papaya, avocado, are good to have two hours before going to bed. Eating fresh fruit is always better, but again it depends on how you are preparing the juice, and also how much convenient to consume. For example when we are making strawberry smothie or milk shake we wont remove anything from fruit and as juice we will consume more too. But in case of commercial apple juice we are not going to get any dietary fiber and also more sugar is added. Select your choice considering what else you had too. The fruit book gives more information about fruits, health benefits, tips on how to select and store, nutrition chart and fruit reference site links. 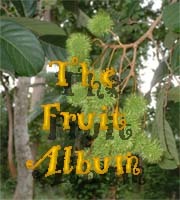 The fruit album has pictures of fruits , plant and fruit cut section.